Russian embargoes on imported shrimp and prawns have sparked a frenzy for homegrown product with increasing consumer appetite and government support spurring local producers. Bylgja Palsdottir discusses why these growth opportunities for Russian shrimp and prawns are here to stay. Trade embargoes are often signs of tough times in the market, but in the case of Russia’s embargoes on shrimp and prawns, known locally as krevetka, these import sanctions are in fact resurrecting a local industry long since thought dead. 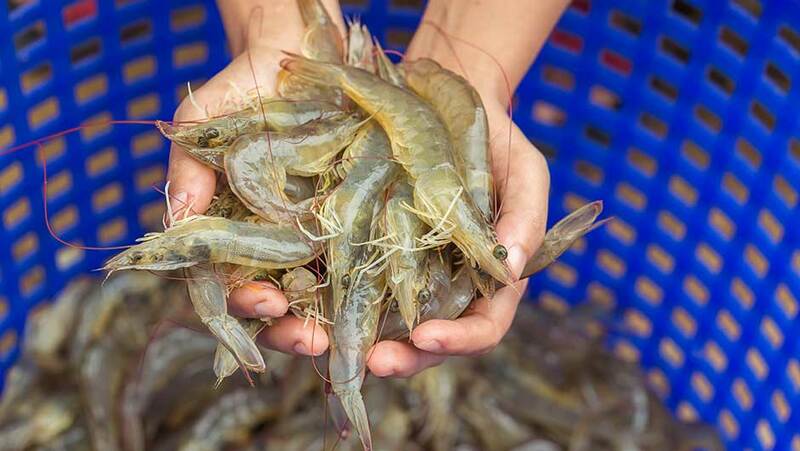 World Fishing & Aquaculture traces the trend back to its Soviet roots in their recent article “Shrimp and Prawn Production Booming in Russia” and it’s worth the read. Not since the era of the hammer and sickle have we seen Russian shrimp and prawns on an industrial level. Imports from Canada had become the nation’s supply. But in 2014 the world responded to the annexation of Crimea with sanctions against Russia, and Putin, in turn, answered with wide-ranging embargoes on almost all imported food from the US, EU, Australia, Japan and Canada. The immediate impact was that the supply chain came grinding to a halt and shrimp and prawns became a luxury item. Consumption bottomed out in 2015 at 25,000 tons. But the embargoes also come at a time when Russia is striving to secure a self-sufficient food supply. And after a tweak to the policy in 2016 to allow for imported broodstock, we’re witnessing Russia’s prawn and shrimp industry rising from the dead and turning considerable profits. By the end of 2017, the prawn farm Russkaya Krevetka was up and running at a capacity of 20 tons and plans to increase up to 200 tons. North Krevetka was soon to follow with a facility to produce 20 tons per year and also plans to increase capacity by ten-fold. There is plenty more in the pipeline. Tkachev Agricultural Complex has thrown their hat into the ring with a pilot project that may lead to large-scale production. Meanwhile, we’re likely to see a shrimp farm in the Tatarstan Republic where the local government is ready to hand over land. In fact, in its push for a self-sufficient food supply, the federation has pledged over $50 billion for projects from 2019 to 2025. With the competition held at bay by embargoes, increased interest from consumers and governments ready and willing to get behind new efforts, I can’t help but say that we’re in the early days of an age of opportunity for Russia’s shrimp and prawn industry.